Ben Robinson|GoBuccs.com Russia’s Laurissa Poling shoots between Covington’s Sammi Whiteman and Lauren Christian (44) Tuesday night. Ben Robinson|GoBuccs.com Russia’s Jessica York shoots over Covington’s Claudia Harrington Tuesday night. Ben Robinson|GoBuccs.com Covington’s Sammi Whiteman gets off a shot against Russia Tuesday night. Ben Robinson|GoBuccs.com Covington’s Sammi Whiteman, Morgan Kimmel and Lily Hamilton and Russia’s Laurissa Poling battle for a losse ball Tuesday night. 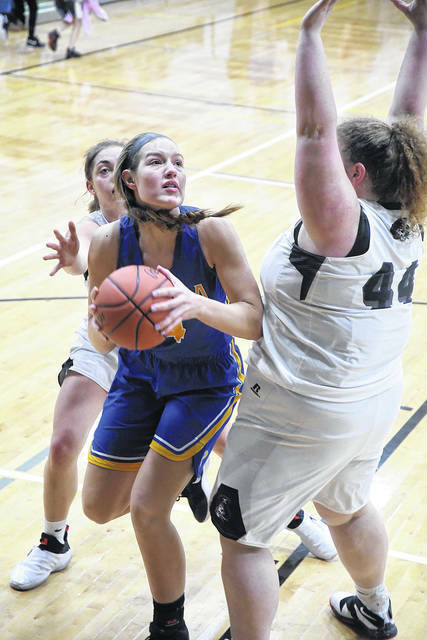 COVINGTON — The Covington girls basketball team picked up a big win over Russia 49-38 Tuesday night in non-conference action. Russia dropped to 9-4 with the loss, while Covington improved to 13-2 with the win. The two teams could well meet down the. road in tournament action. And it was an outstanding defensive effort that sparked the win as Covington harassed Russia throughout —holding the visiting Raiders to just eight first half points and 38 for the game. Sammi Whiteman led all scorers with 21 points, while Makenzee Maschino dropped in 10 points – all coming in the fourth quarter. Morgan Kimmel contributed with seven points as well for Covington. Covington travels to Bethel Thursday, while Russia hosts Fort Loramie. 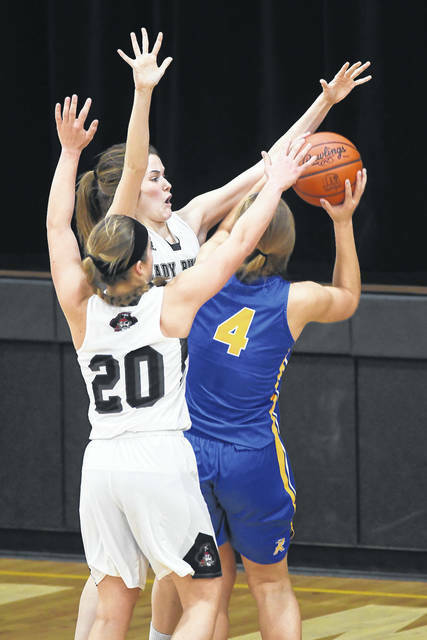 https://www.dailycall.com/wp-content/uploads/sites/30/2019/01/web1_russia-4-1.jpgBen Robinson|GoBuccs.com Russia’s Laurissa Poling shoots between Covington’s Sammi Whiteman and Lauren Christian (44) Tuesday night. 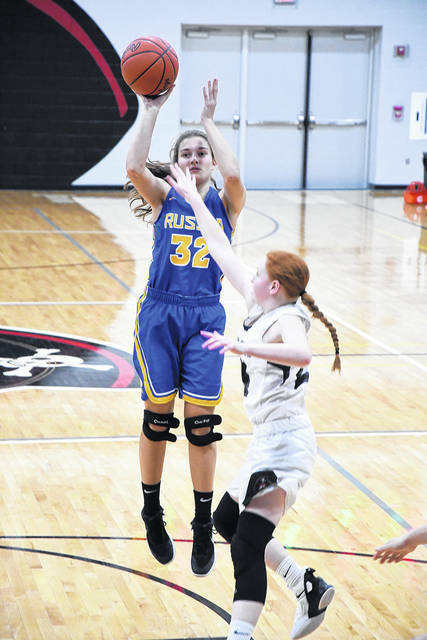 https://www.dailycall.com/wp-content/uploads/sites/30/2019/01/web1_russia-32-1.jpgBen Robinson|GoBuccs.com Russia’s Jessica York shoots over Covington’s Claudia Harrington Tuesday night. 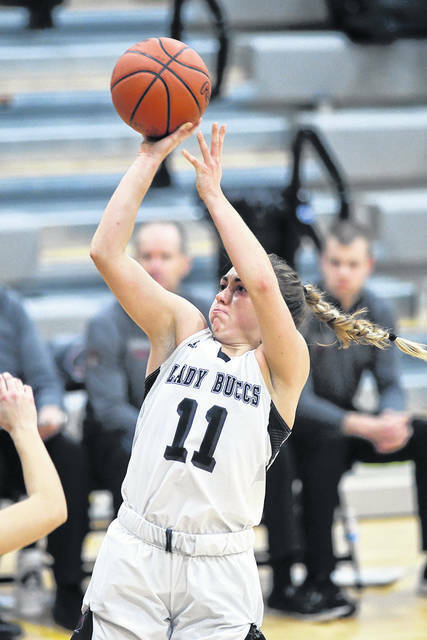 https://www.dailycall.com/wp-content/uploads/sites/30/2019/01/web1_sammi-whiteman-2.jpgBen Robinson|GoBuccs.com Covington’s Sammi Whiteman gets off a shot against Russia Tuesday night. 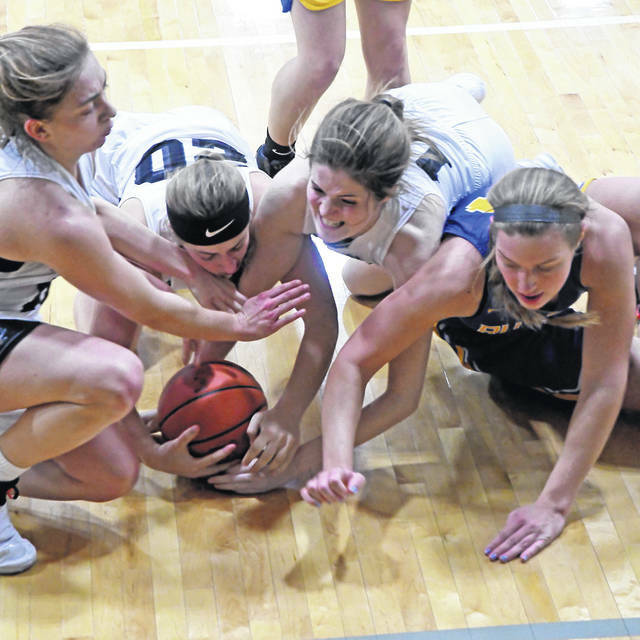 https://www.dailycall.com/wp-content/uploads/sites/30/2019/01/web1_loose-ball-1.jpgBen Robinson|GoBuccs.com Covington’s Sammi Whiteman, Morgan Kimmel and Lily Hamilton and Russia’s Laurissa Poling battle for a losse ball Tuesday night.